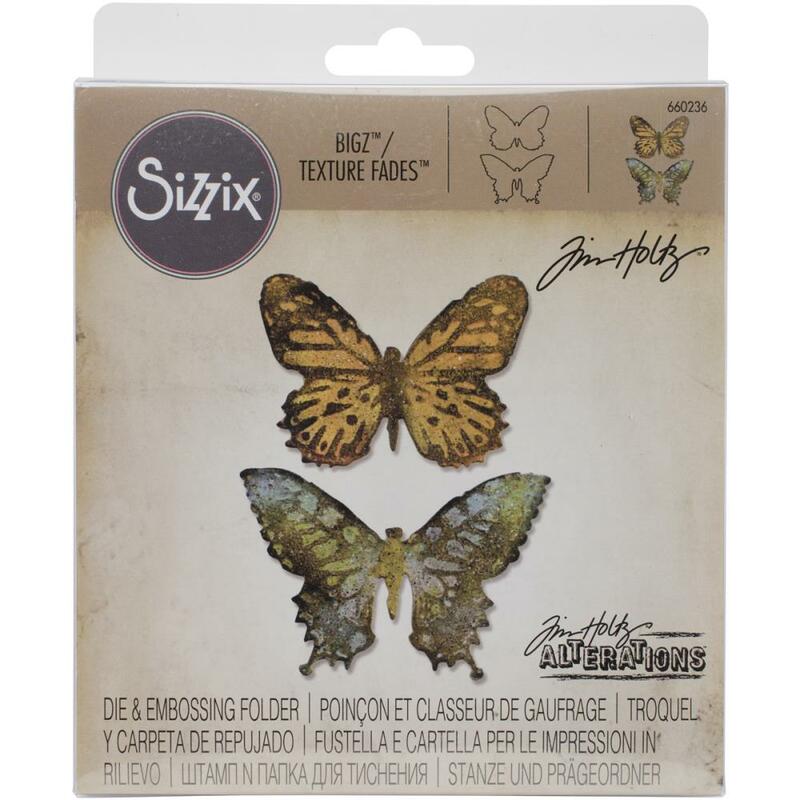 Sizzix-Bigz Die with A2 Texture Fades Folder. A Bigz die cleanly cuts thick materials including cardstock, chipboard, fabric, foam, magnets, leather, metallic foils, paper and much more! The matching texture fade folders offer you even more design options! Die measures 5-1/2x6x5/8 inches. Folders measure 4-1/2x5-3/4x1/8 inches. For use with the BIGkick, Big Shot and Vagabond machines (not included). 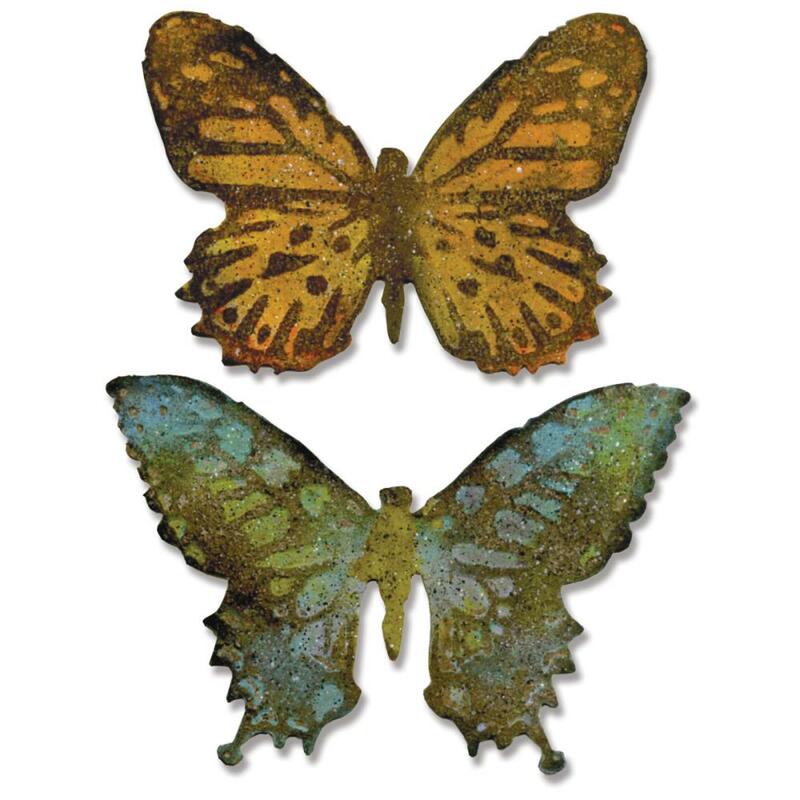 Design: Butterfly Duo (approximate die-cut size between 1-7/8x2-5/8 inches and 2x3-1/8 inches). Designer: Tim Holtz.